Lindsay Lohan has been arrested again, this time for apparently getting into a fight in a nightclub. 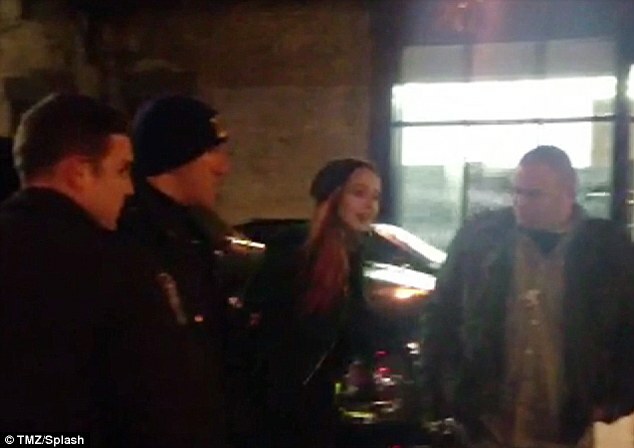 The video of Lindsay Lohan being arrested and led away by the cops in handcuffs has been released by TMZ. This is the lowest point that Lindsay Lohan has sunk into and it really hurts us to watch her get lost in this downward spiral. This has also deeply affected Lindsay Lohan’s dad who is Lindsay Lohan for ever blamed for her life problems. Michael Lohan posted on Twitter: ‘I have been trying for years and especially over the past two weeks but my pleas have gone unheard Children need BOTH PARENTS, not alienation. ‘Do you see what I mean when our children don’t have BOTH parents there for them and on the same page! I have tried and tried but takes two! He deleted this tweet later. Previous: Kim Kardashian Most Searched Person on Bing 2012!! !